Thomas Jefferson’s iconic Monticello property in Virginia is a national landmark that scholars have long been studying. The plantation estate and the people who lived and worked there hold a significant place in the history of the nation. While there is a great amount of documentation about Jefferson’s primary home, archaeologists recently launched a new initiative to reveal more about the original activities on the grounds. It was amid those efforts that researchers made a discovery in that completely stunned historians. Read on to find out more about the groundbreaking find! 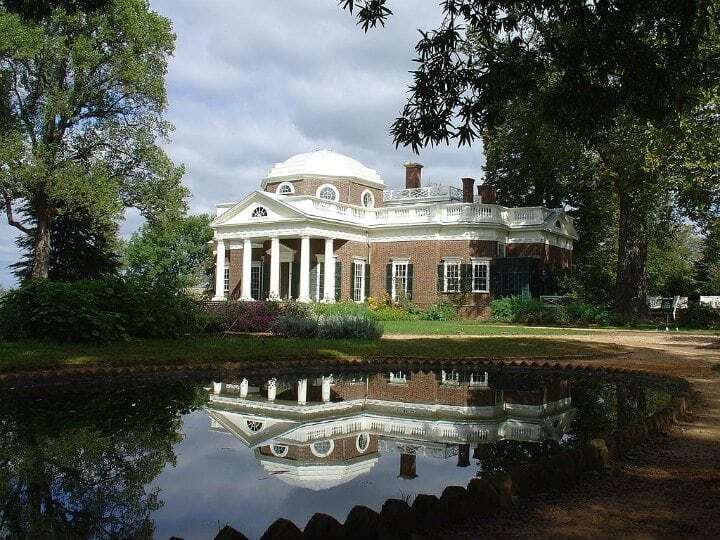 Thomas Jefferson, the third President of the United States, primarily resided at his Monticello plantation in Charlottesville, Virginia before he moved to the White House in 1801. Now regarded as a historical landmark, Jefferson began construction on Monticello (which mean “Little Mountain” in Italian) in 1768. The sprawling grounds have been well-studied, and an image of the plantation’s main house is even ingrained on the back side of the U.S. nickel. Despite great scrutiny of the estate over the years, a recent discovery on the property revealed details about a long-held mystery that utterly shocked historians. 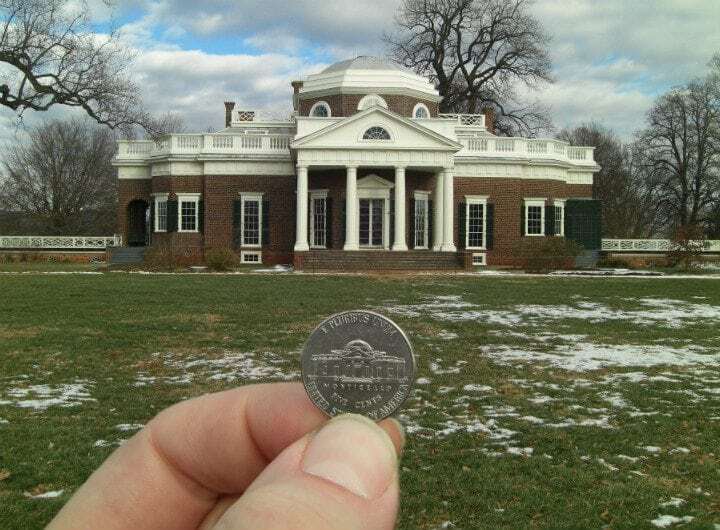 Thomas Jefferson was 26-years-old when he started building Monticello on land that he inherited from his father. 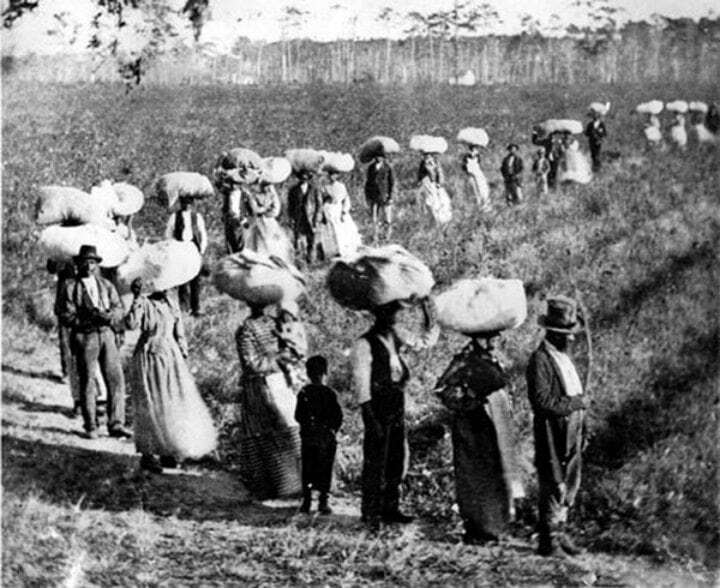 The massive 5,000-acre plantation was primarily used to cultivate tobacco and wheat. But like many plantations of the time, Monticello has a controversial legacy linked to one of the dark parts of American history. 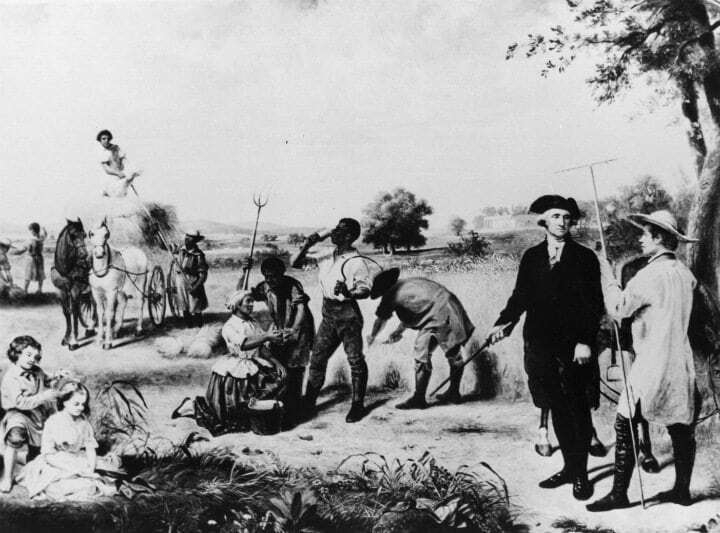 While Jefferson used free workers along with indentured servants and enslaved laborers to construct the plantation house, he subsequently had hundreds of slaves working and living at Monticello. 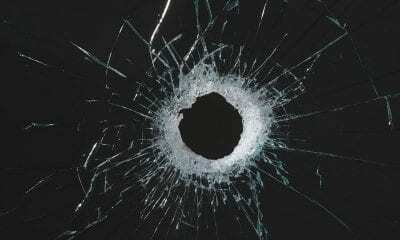 Although that difficult fact has been acknowledged, an astonishing discovery in 2017 shed light on a previously unresolved matter. Despite those words, Jefferson owned 607 slaves over the course of his life, and the discovery found during a 2017 archaeological excavation contributed further understandings that caused made many to reevaluate certain aspects of his legacy. One of the slaves on Thomas Jefferson’s plantation was a woman named Sally Hemings. She remains an enigmatic figure for the most part, but her life was undoubtedly intertwined with Jefferson’s and raised the curiosity of historians for more than a century. Her life was largely shrouded in mystery before the groundbreaking discovery made nearly 200 years after her death provided astounding new insights into who she was and the incredible events that occurred during her time at Monticello. 5. Who Was Sally Hemings? According to her son Madison, Sally Hemings was, in fact, the half-sister of Thomas Jefferson’s wife, Martha (pictured). Sally Hemings was born in 1773 to a planter and slave trader father named John Wayles (who was also Martha Jefferson’s father) and a mother named Betty Hemings, who was of biracial heritage and born into slavery. 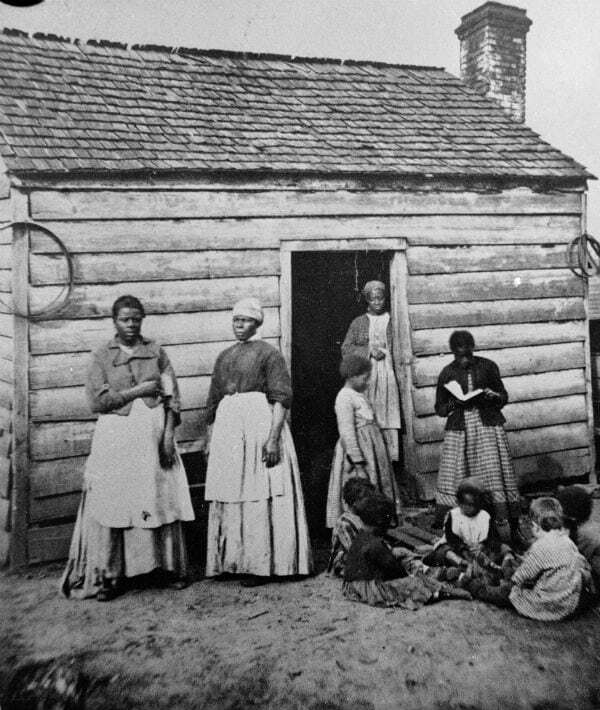 Due to the legal doctrine at the time, children born to enslaved mothers were also considered slaves. As an infant, Sally, her siblings and her mother came to Jefferson’s home as slaves belonging to Martha as part of her inheritance from her father. 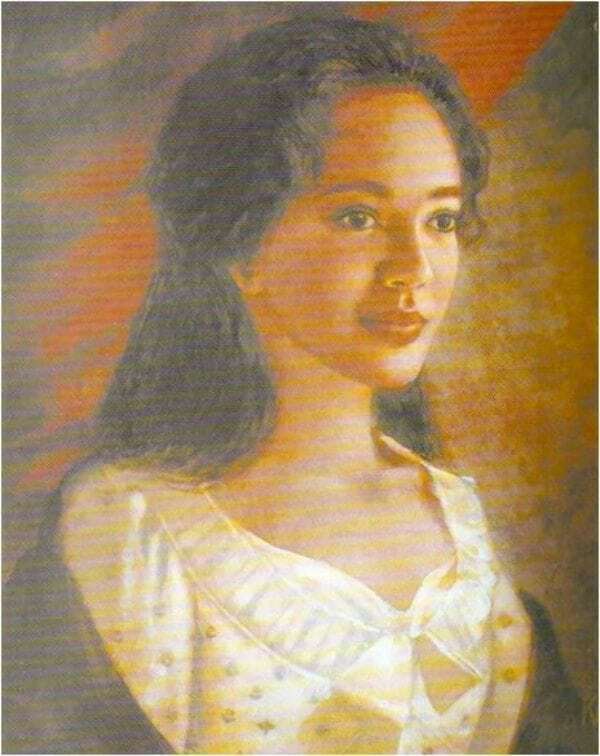 Sally Hemings was the youngest of six siblings and 25 years younger than her half-sister Martha Jefferson. 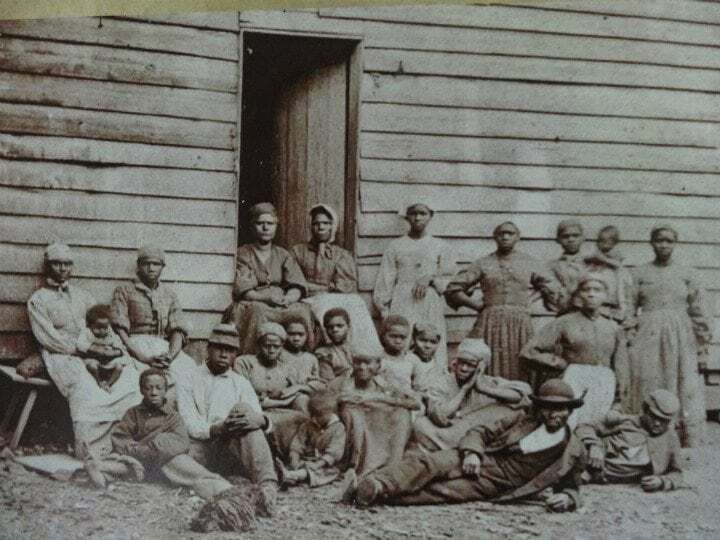 Hemings and her brothers and sister grew up at Jefferson’s plantation at Monticello and were trained and put to work as artisans and domestic servants. 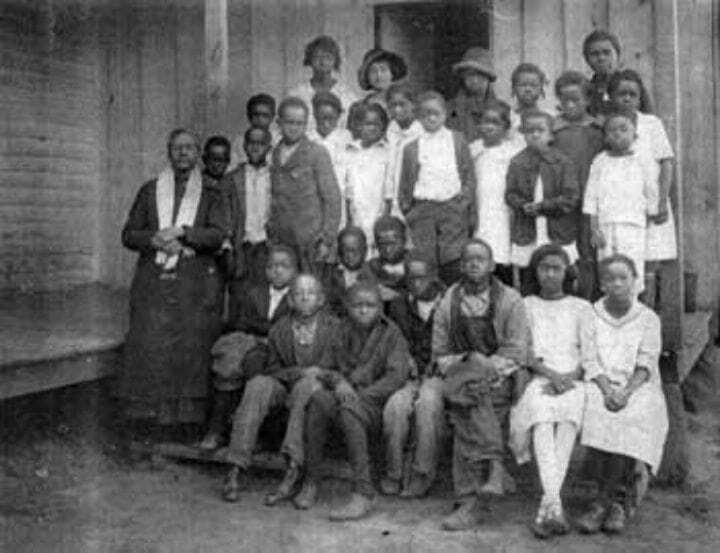 The children were considered to have positions at the top of the slave hierarchy and did not labor in the fields. No one knew it at the time of her youth, but years later, she would become a subject of national interest. Sally Hemings was enslaved until Thomas Jefferson’s death in 1826. She lived the last nine years of her life freely, but the details of her time at the Monticello plantation have largely remained a mystery. Yet, a trail of clues uncovered over the years has led to a better understanding of this woman’s significant, historical role. One of the only existing descriptions of her appearance was written by an enslaved blacksmith named Isaac Granger Jefferson. 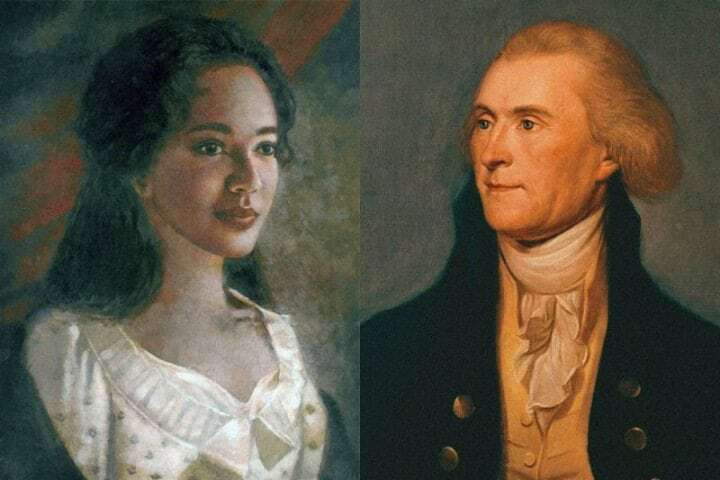 According to his recollection, Hemings was “mighty near white… very handsome, long straight hair down her back.” Still, other records from Monticello would eventually lead to a huge discovery linked to her. Meanwhile, historians have noted that her duties at Jefferson’s home included serving as a seamstress and chambermaid. 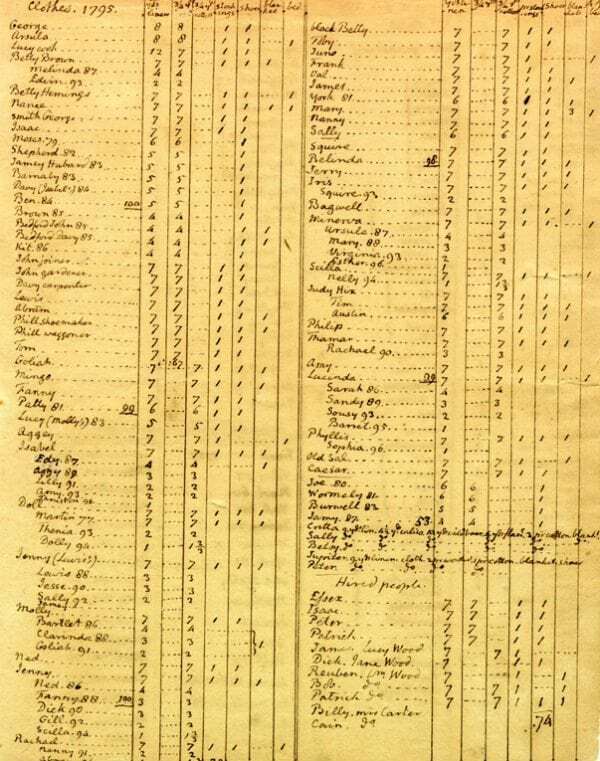 Still, mystery has ensued as Jefferson was deliberate in his detailed about finances and births in his records of the property, yet her rarely wrote of her. It is known that at the age of 14, Sally Hemings accompanied Thomas Jefferson’s youngest daughter, Mary, to London and later to Paris, where the future president was serving as the U.S. envoy to France. It was during her two years in France when the young Hemings’ life irrevocably changed. 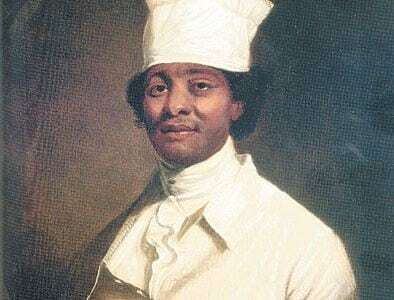 Sally Hemings’ brother, James (pictured), also accompanied the Jefferson’s to Europe as a chef. 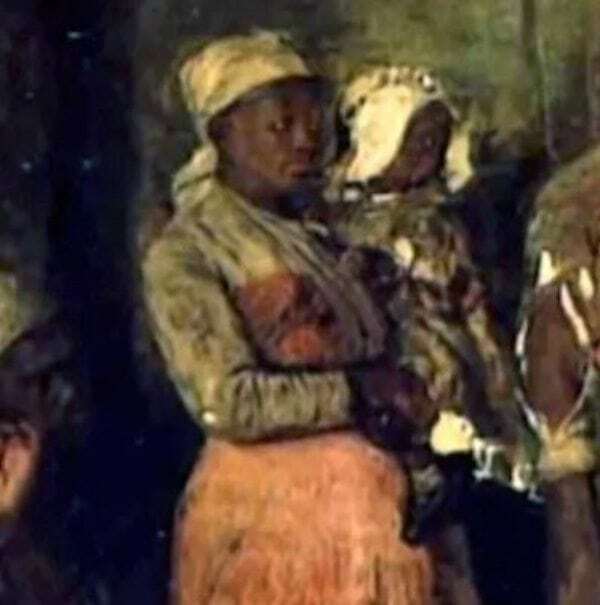 Although slavery was illegal in France at the time, something happened that likely motivated Sally to return to the U.S., where she would again be considered a slave. It was there in Paris, that most historians agree that the widower Thomas Jefferson and Sally Hemings began an intimate relationship. The future president was then in his mid-40s. And at about the age of 16, Hemings became pregnant. Hemings returned the U.S. in 1789. 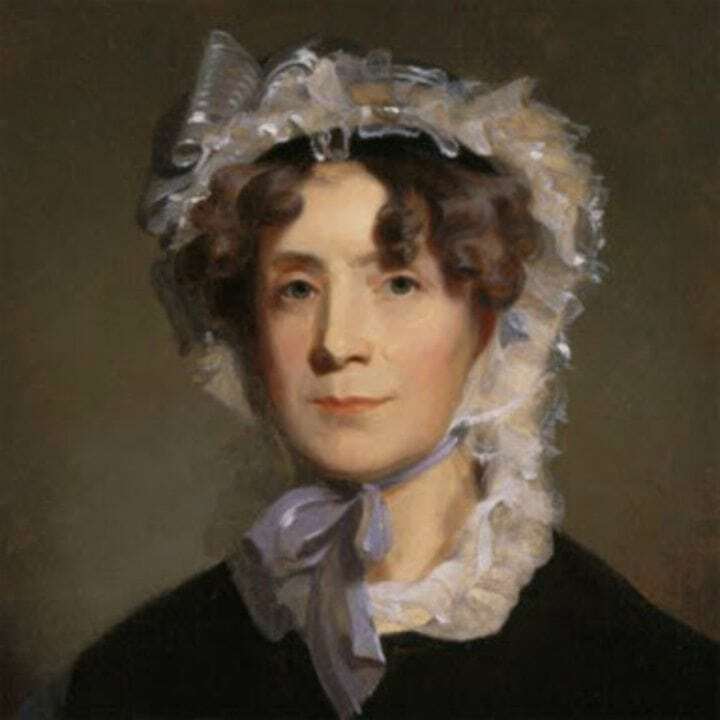 She went on to have six children following her return from Europe and observers at the time believed that they were Jefferson’s due to their appearance. 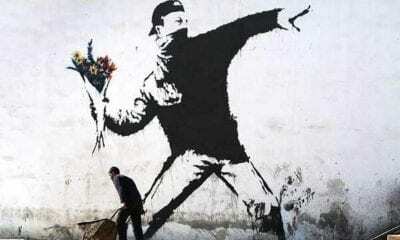 However, the relationship would only be publically written about for the first time about 20 years later. 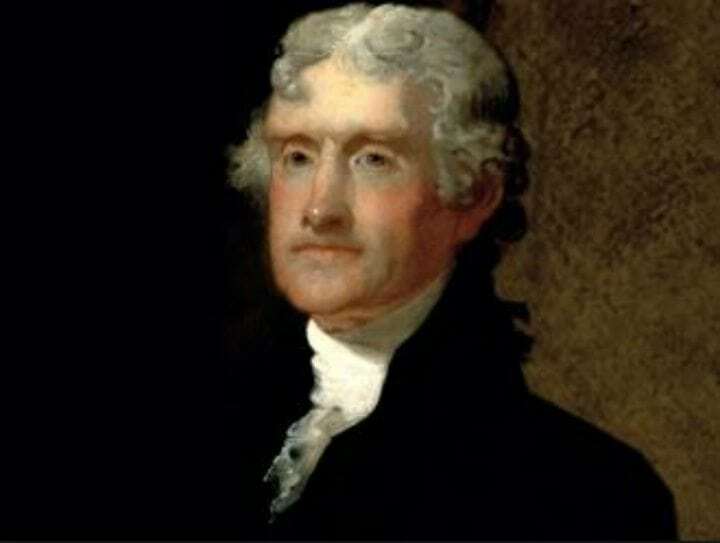 In 1802, one of Thomas Jefferson’s opponents first published a report about what was later deemed the “Jefferson-Hemings controversy.” Jefferson never listed the father of Hemings’ children in his “Farm Book,” but his family publicly denied the allegations about his fathering the kids. 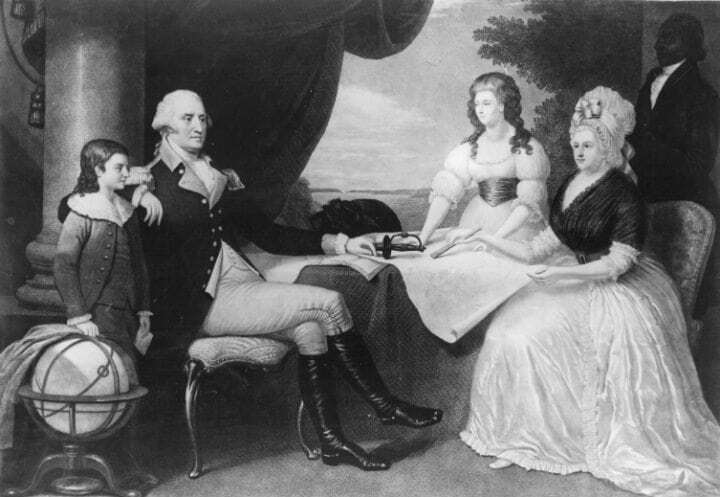 Of Hemings’ four children who survived into adulthood, Jefferson eventually freed them or let them leave, further feeding into rumors that he was their father. Still, Jefferson’s family and historians continued to deny the paternity allegations for the next 150 years. Years later, however, an incredible discovery would change everything. Scientific progress led to a new breakthrough in the long-unresolved case of the paternity of Sally Hemings’ children. The shocking results of DNA testing in 1998 revealed a link that made the majority of historians agree that Jefferson fathered at least one, and most likely all, of Hemings’ kids. The genetic testing found a match between Jefferson’s male line and a descendant of Eston Hemings (pictured) – Sally’s youngest son. Nearly two decades after the groundbreaking DNA study, archaeologists would discover a long-hidden secret that provided further remarkable revelations about her life. 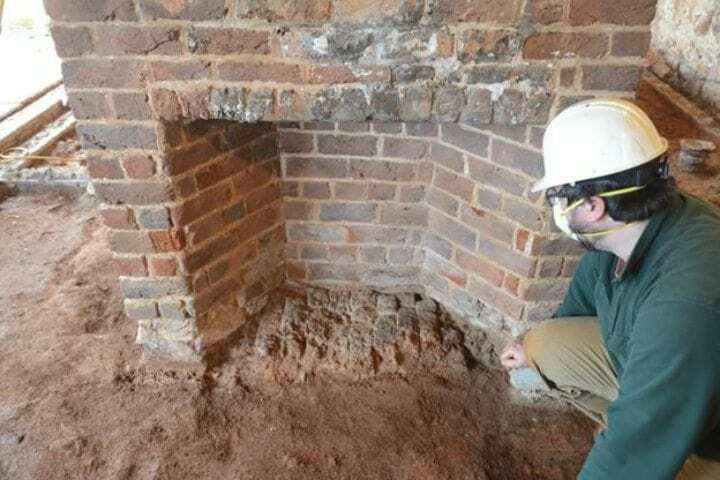 While archaeologists were conducting excavations as part of a restoration effort at the Monticello plantation in 2017, they were amazed when they discovered another missing piece of the puzzle that had long-evaded social scientists. 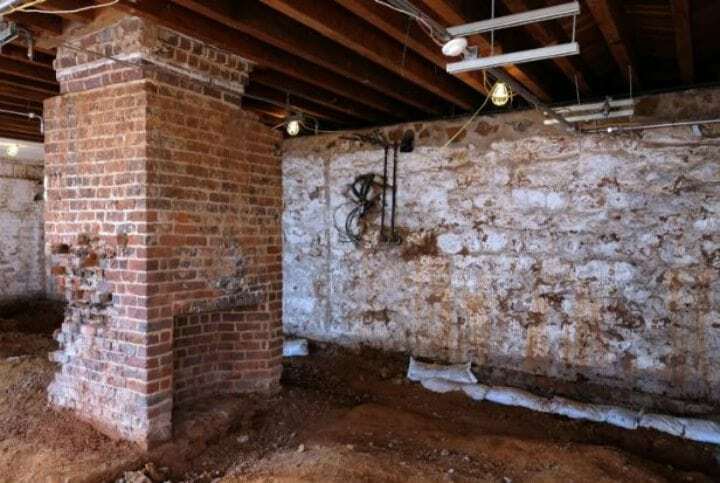 They had finally found the long-concealed living quarters of Sally Hemings! 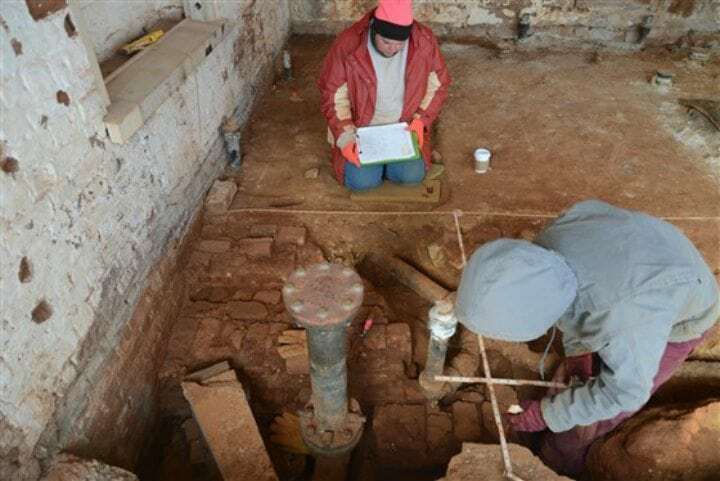 The archaeologists made the historic discovery while they were working to uncover the original layout of the South Wing of the Monticello plantation house. Her room had gone unnoticed for several decades, but no one could have guessed where it was! The South Pavilion of Monticello had undergone considerable transformations during Jefferson’s lifetime and even into the 20th century after it had become a museum. 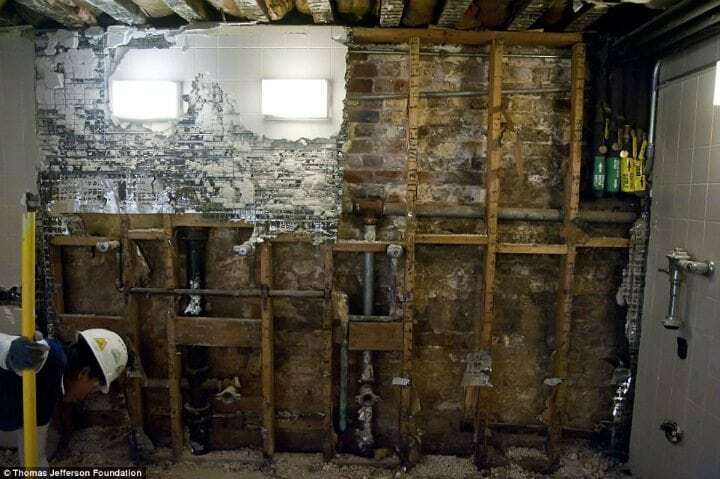 Sally Hemings’ room was completely hidden from sight when a modern bathroom was installed over it in 1941. 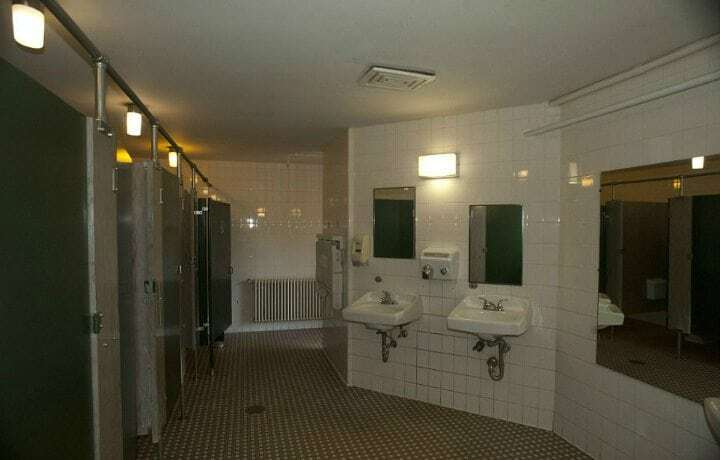 The bathroom was again renovated and enlarged in the 1960s due to the increasing number of visitors at Monticello. But those changes didn’t actually reveal Hemings’ long-lost room. What had tipped archaeologists off to the discovery, in fact, came from a very surprising source. Historians were reanalyzing the history of Monticello when they came across a document written by one of Thomas Jefferson’s grandsons. According to him, Sally Hemings’ room had been located in the South Wing of the former plantation house. Although experts weren’t entirely sure that the information was reliable, it led them to think about the modern restroom addition, and archaeologist started digging. However, they weren’t entirely expecting to unearth the shocking artifacts that they found during the excavation. 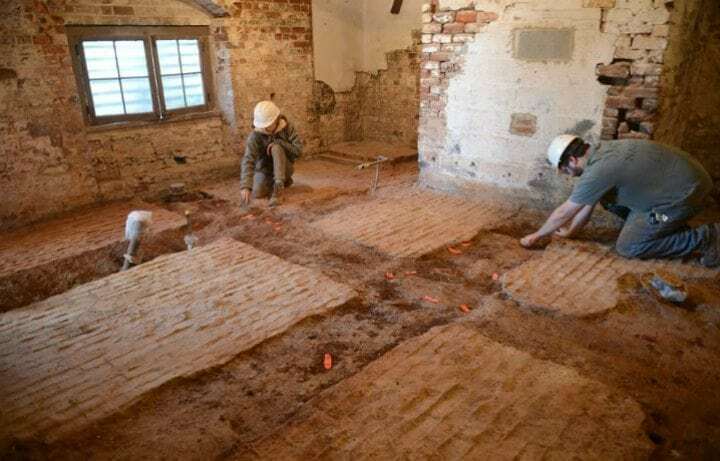 The awestruck archaeologists knocked down the men’s bathroom and sifted through the dirt to eventually unearth the Sally Hemings’ 14-foot living quarters. In the room, they also found the original brick floors from the early 1800s. As experts uncovered more of the room, they also found a brick hearth and fireplace along with a structure that could house a stove. Another interesting aspect of the find was that the room was located adjacent to Jefferson’s bedroom. So what did that mean? 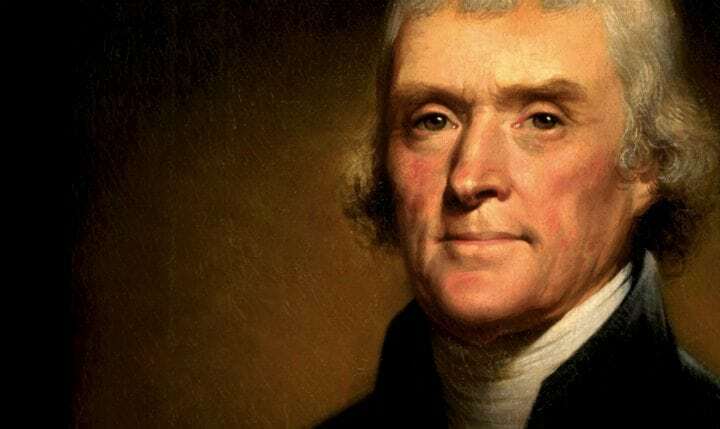 Analysts believe that the proximity of Sally Hemings’ room to Thomas Jefferson’s private quarters further points toward the narrative that he fathered her children. This new development together with the DNA results from the ‘90s is thought to provided nearly definitive proof of Jefferson and Hemings’ relationship. 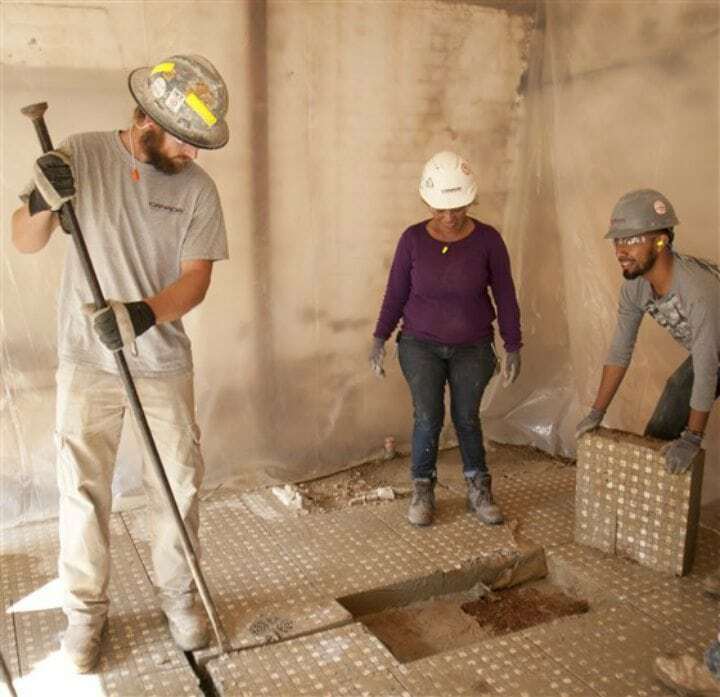 “This room is a real connection to the past,” said Fraser Neiman, the director of archaeology at Monticello. 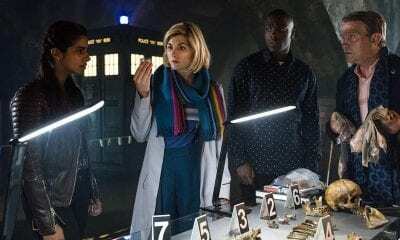 “We are uncovering and discovering and we’re finding many, many artifacts.” The room also relayed some much-sought-after indications about how this interesting woman lived. It’s believed that part of Sally Hemings’ decision to return to the U.S. from Paris was because Jefferson promised her children could be free once they came of age. Interestingly, the Hemings were the only family that Jefferson freed among his slaves (although he freed three other individuals). 19. A Window into the Past? The physical evidence discovered from her room indicated that Sally Hemings had a higher standard of living than other enslaved people at Monticello, but she was still a slave and there were certain details that leave no doubt about at least some of her conditions. Hemings’ room, notedly, had no windows and the quarters would have been dark and uncomfortable. Some people have indicated that building the bathroom over her room was a possible attempt to cover her up and considered the issue an insult to her legacy. However, the future holds other plans for her. Monticello historians are now working to restore Sally Hemings’ room for public display and plan to open it in 2018. The space will be exhibited with period furniture and artifacts excavated on the property like ceramics and bone toothbrushes. 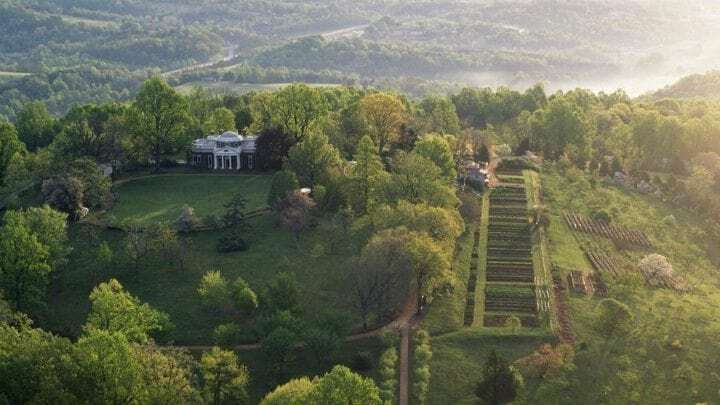 As part of the $35-million Mountaintop Project at Monticello, new efforts are being made to create more transparency about the ground’s past and tell the stories of both enslaved and free people who lived and worked there. There are also tours focused solely on the Hemings family, and the reactions have been extraordinary. The discovery of her room answers a lot of questions and clarifies some rumors about the ongoings at Monticello and the human interactions there. Curators are now working to better incorporate her life into the narrative of Jefferson’s story and reverse previously-held notions that she was merely his “concubine.” But there’s even more significance than that. 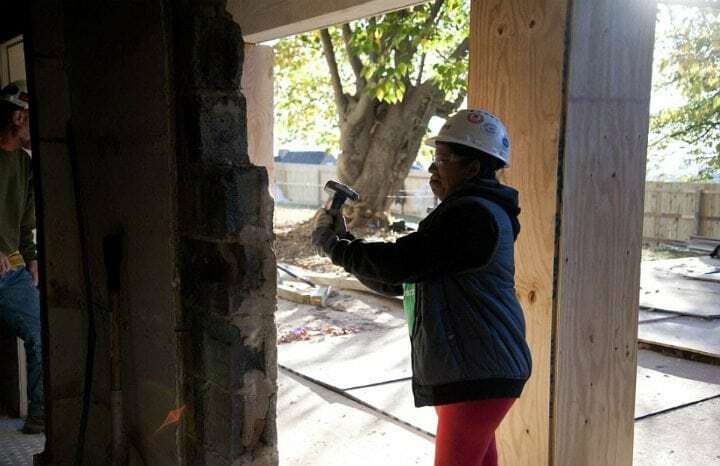 The breakthrough discovery of Hemings’ room will also “portray her outside of the mystery,” said historian Niya Bates. The new exhibit seeks to add more of a humanizing image of the woman who was enshrouded by unresolved gossip and rumors for years. 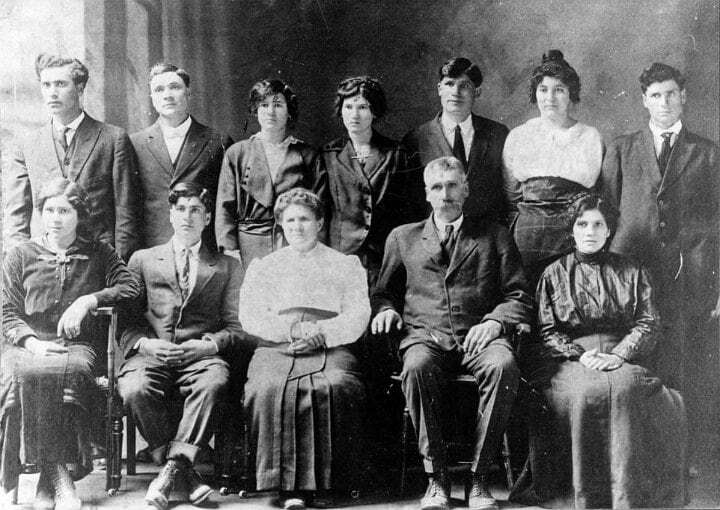 “She was a mother, a sister, an ancestor for her descendants (pictured) , and [the room’s presentation] will really just shape her as a person and give her a presence outside of the wonder of their relationship,” Bates stated. Previously, tours of the estate had a surprising take on Hemings. 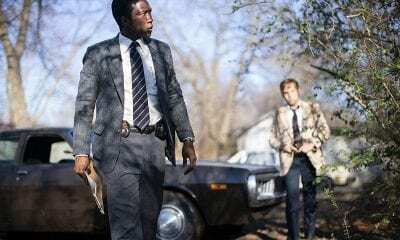 The new focus on Hemings comes as part of a decades-long shift in the portrayal of Monticello. Now-retired historian, Lucia “Cinder” Stanton,” started working at the site in 1968 and recalls that back then Sally’s name was never mentioned in tours. In fact, little was said about the whole Hemings family in general. But, coinciding with the 250th anniversary of Jefferson’s birthday in 1993, tours started incorporating stories of the enslaved. 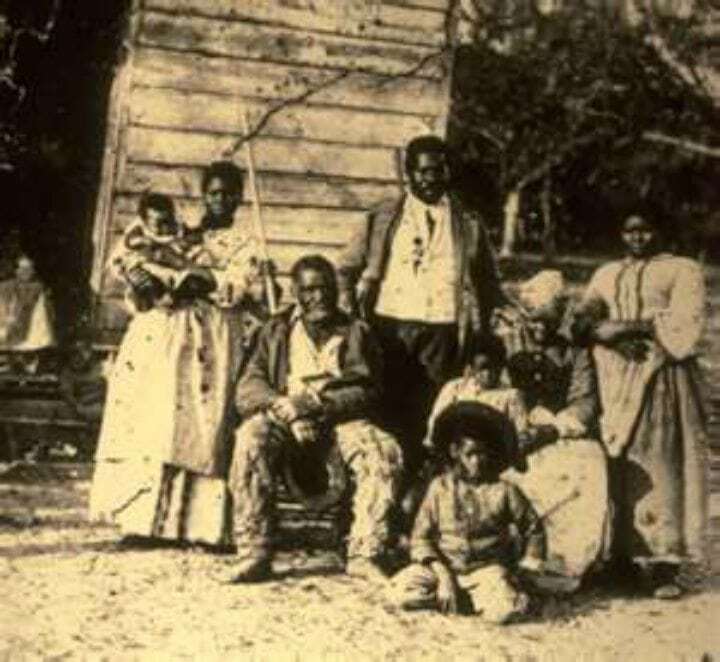 Still, it would take years for another significant shift that amazingly drove descendants (pictured) of slaves to come to the property. In 2015, Monticello unveiled another project that shed light on the lives of enslaved people at the manor. The restoration of Mulberry Row displayed reconstructions of two dwellings from the central plantation street that included slave living quarters, supply rooms and kitchens. Between the years 1770 and 1831, the row consisted of more than 20 structures. 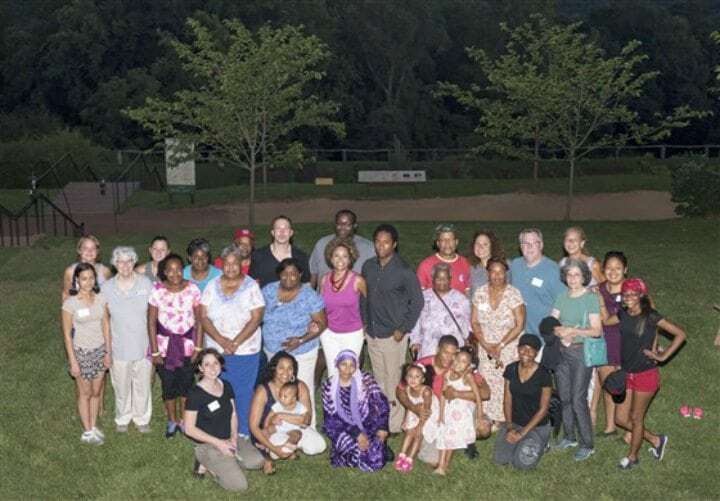 The event drew more than 100 descendants of enslaved families who took part in a tree-planting memorial in their relative’s honor. But the commemorative efforts don’t stop there. Like the Mulberry Row addition, curators will incorporate Sally Hemings’ room and her life story into a more comprehensive account of the mountaintop grounds and its people, and not just Thomas Jefferson and his immediate family. While shedding light on the life of Hemings is an important part of history to acknowledge, some of her distant relatives these days have mixed feelings about the legacy associated with one of America’s presidents, Thomas Jefferson. 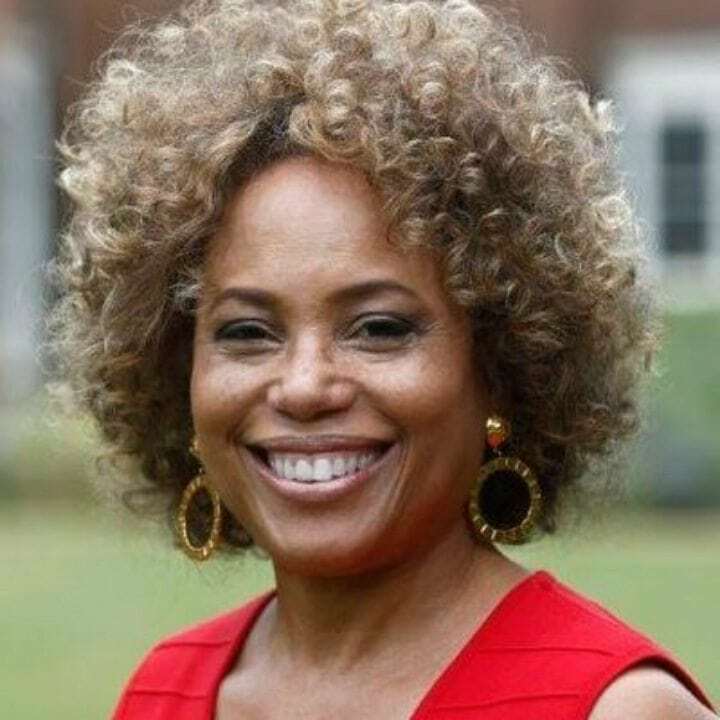 “As an African American descendant, I have mixed feelings – Thomas Jefferson was a slaveholder,” said Gayle Jessup White, who is Sally Hemings’ great-great-great-great niece and also works as Monticello’s Community Engagement Officer. Still, she’s appreciative of the work her colleagues are doing. “But for too long our history has been ignored,” she added. 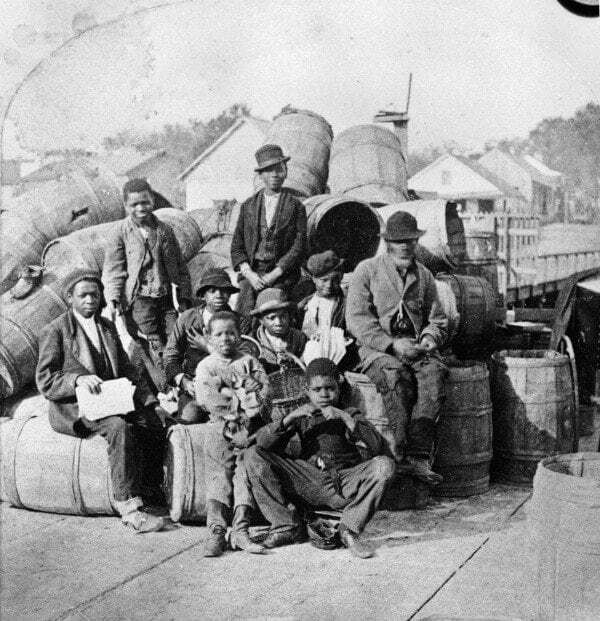 “Some people still don’t want to admit that the Civil War was fought over slavery. We need to face history head-on and face the blemish of slavery and that’s what we’re doing at Monticello.” And she’s not the only one who feels this way. White explained that Monticello hasn’t always been embraced by a larger part of the local African American community due to Jefferson’s relation to slaves. “I find that some people are receptive to the message and some are resistant,” she said. “But our message is that we want the underserved communities and communities of color to become partners with us,” he highlighted. 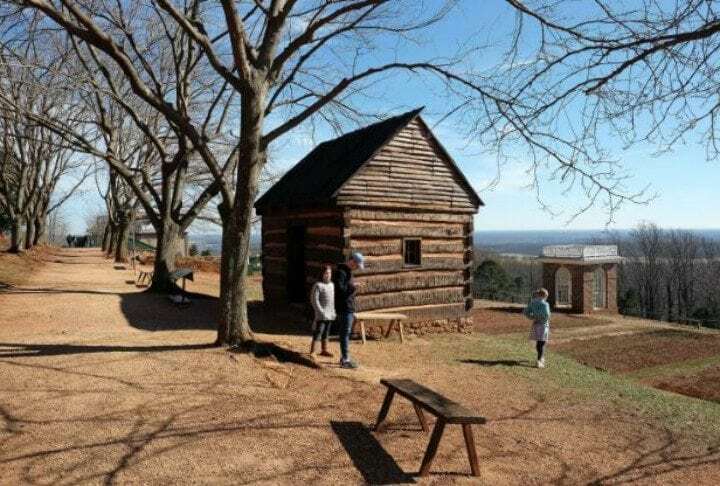 “Anecdotally, we have seen an uptick in African Americans visiting Monticello so I know we’re making progress.” However, there is still a lot left to be done. Despite great historical analysis on Monticello, the history of the former plantation still leaves many questions. 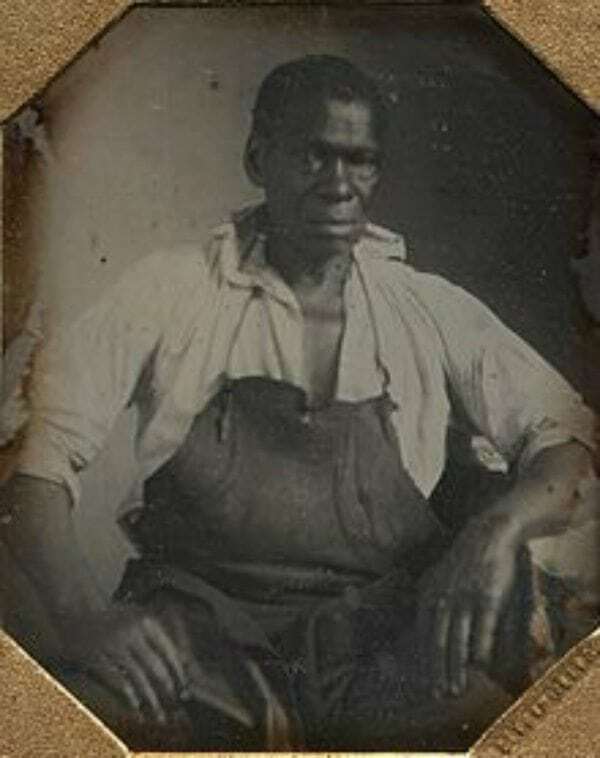 Although Jefferson kept a log of all of his hundreds of slave, there were only a few individual photo portraits of people from the families. Therefore descendants of those people along with those in charge of the Monticello museum held several ventures that have revealed more remarkable information about the hundreds of people who had seemingly been forgotten by written history. Sally Hemings’ family tree alone includes various descendants who made significant contributions to country. Keeping in mind their connection to Thomas Jefferson, it’s all the more impressive that the lineage can be traced to the present. In 2008, historian Annette Gordon-Reed published the book The Hemingses of Monticello: An American family, which sheds light on the individual aspect of slave people by recounting the history of generations of the Hemings family based on legal records, diaries, farm logs, correspondences, newspapers, archives and oral history. Her findings were extraordinary. 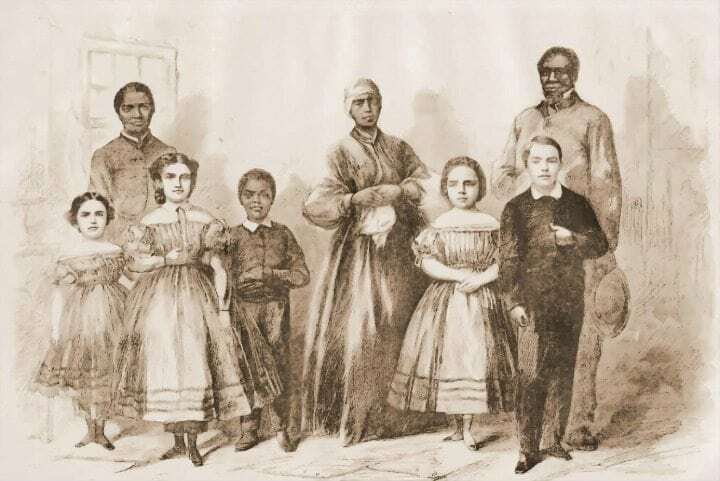 Hemings had four children who survived into adulthood: Madison, Eston, Beverley and Harriet. Eventually, all of them – expect for Madison – chose to live in white society in the North. From Madison’s memoir, further information was gathered about the other siblings. According to their brother, the sisters Beverly and Harriet had both married affluent men in Washington, DC’s white community. Meanwhile the Hemings brothers both married free women of color in Charlottesville and Eston eventually changed his last name to Jefferson, to acknowledge his paternity. Both of Sally Hemings’ sons achieved relative success in their adult years and had multiple children who fought on the Union Side in the Civil War. Sally Hemings’ lineage included several grandchildren and great-grandchildren, who carried on the family legacy with some making history in other ways. 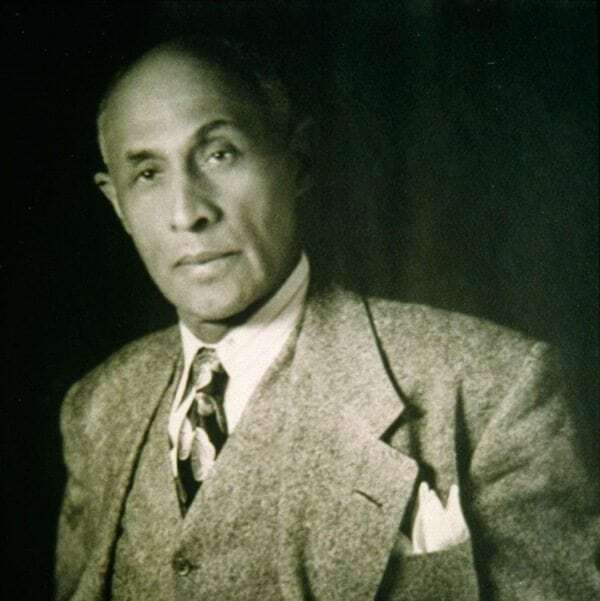 Generations after Jefferson was president, his and Sally Hemings’ great-grandson, Frederick Madison Roberts, became the first elected person of black ancestry to take public office on the West Coast. For 20 years, he served in the California State Assembly. And, the family’s legacy is still be upheld in other astounding ways. 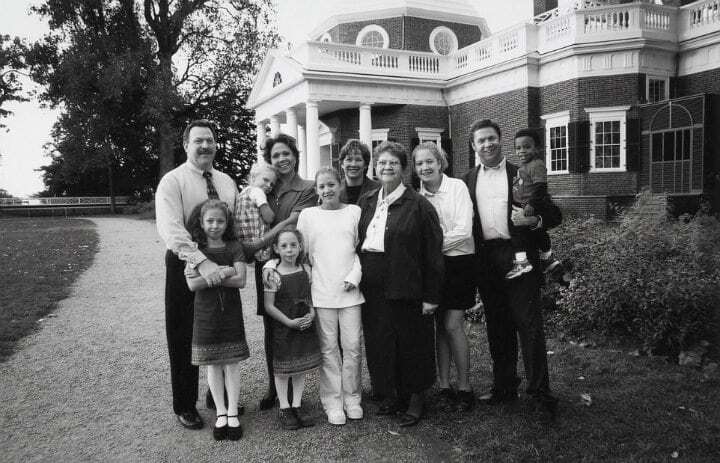 In 1993, Monticello historians conducted interviews with more than 200 people. The endeavor was part of an oral history project to collect the personal accounts of the African American families at Thomas Jefferson’s Virginia plantation from their ancestors. Meanwhile, on the Monticello grounds, the narrative provided on tours is also shifting to portray a more comprehensive understanding of the complex history of the site. 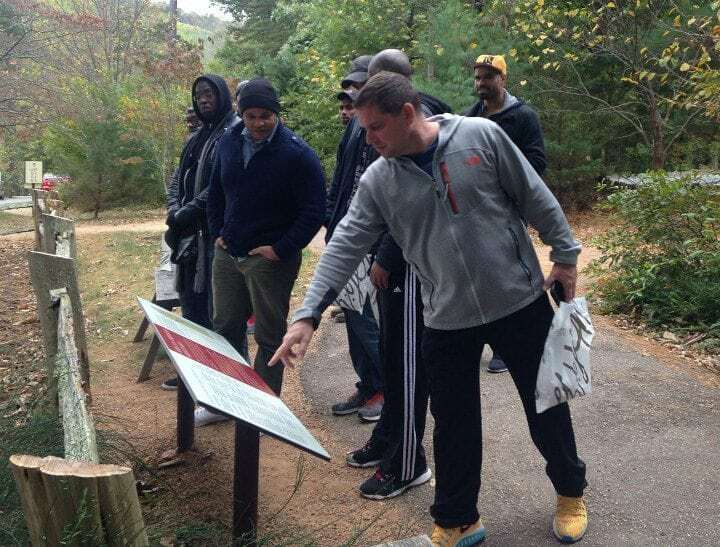 While leading a group of visitors last spring, Monticello guide Tom Nash was very candid about the former plantation. 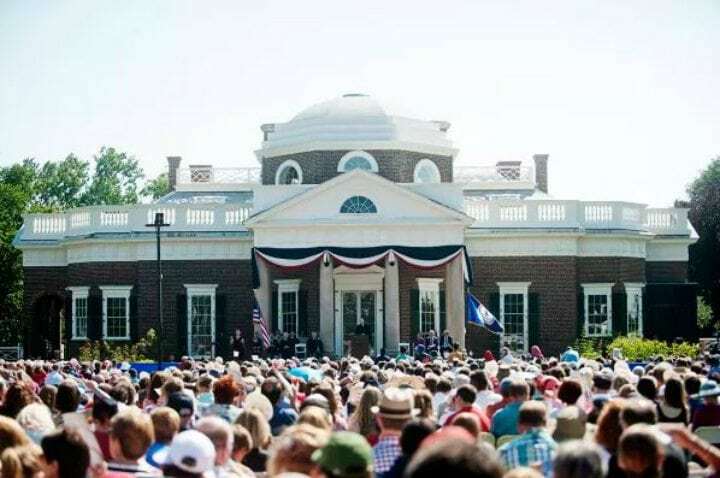 While the controversial memory surrounding Monticello may not be completely erased, in July 2017, the current site of the property hosted an eye-opening celebration to mark its 55th annual Independence Day. Some 70 people from 30 countries attended the event, in which they became naturalized citizens of the United State. Meanwhile, the country and the world continue to recognize the complexities of America’s history and acknowledge the great contributions and forgotten accounts of those who were not free citizens. 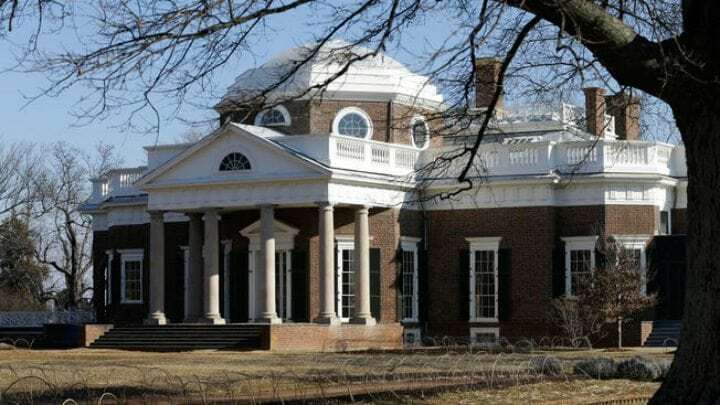 While steps have been taken to shift the way in which Monticello is presented, the matter raises to mind the point that Thomas Jefferson wasn’t the only prominent early U.S. President who had a history of slave ownership. In total, 12 leaders of the United States were slave owners during their lifetimes and, of those, eight were while they held office. Despite the principle of equality on which the U.S. was founded, the links of many of the Founding Fathers to slavery presented a critical paradox in the country’s history. 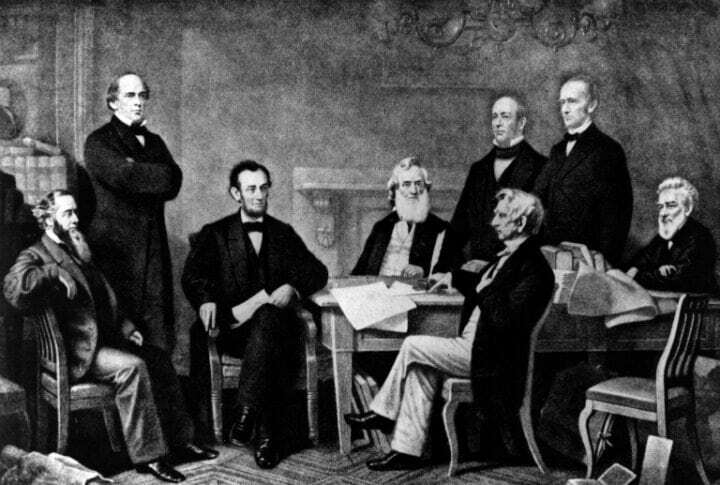 Although several of them held contradicting and complicated views on the dreadful institution, of the first five presidents of the United State, four were slave owners. That included the fabled “father of the country,” George Washington. More than 300 slaves lived on the first president’s Mount Vernon plantation at the time of his death. Washington was the only slave-holding presidents to choose to free his personal slaves. His will called for his slaves (although not those owned by his wife or “borrowed” from neighbors) to be freed upon his wife, Martha’s, death. She ended up releasing her husband’s more than 100 slaves a year after his death. John Adams, the second President of the United States, was the first resident of the White House. While slave laborers did help build the iconic residence, Adams never owned slaves and was considered to hold “moderate” views on the issue. John Adam’s son, John Quincy Adams, was the sixth U.S. President and like his father also did not hold slaves during his life. In his later years after leaving office, the younger Adams became increasingly opposed to the institution of slavery. While we now know a little more about third U.S. President Thomas Jefferson and the people who were enslaved on his plantation, and although he once called slavery an “assemblage of horrors,” he wasn’t the last president to own slaves. James Madison, James Monroe and Andrew Jackson each owned several slaves. Eighth president Martin Van Buren owned one slave during his early career. 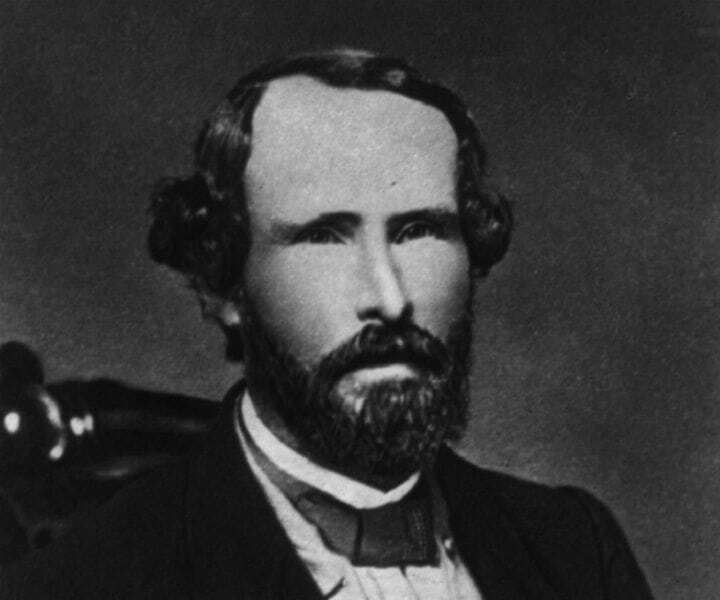 He later joined a platform that opposed the westward expansion of slavery, although it wasn’t outright abolitionist. William Henry Harrison didn’t hold slaves during his 31 days in office, but he had previously inherited several slaves. John Tyler, James Polk and Zachary Taylor all owned slaves while in office. The last two American presidents to have owned slaves before their presidencies were Andrew Johnson and Ulysses S. Grant. In 1863, the 16th U.S. President, Abraham Lincoln, ordered the Emancipation Proclamation, which freed some 3 million enslaved people. And while America has continued to face issues of equality, slavery was officially abolished in 1865 with the adoption of the 13th Amendment. If you found this article interesting, please SHARE it with friends!